Groton Wind, a 48-MW Iberdrola project that went into service Dec 31, was cited by residents as being in violation of the certificate granted by the State for relocating the O&M building 500+ feet from the original location. The State AG office recommended the project cease operation until the violation is corrected. A pre-hearing conference is scheduled for Oct 2.
the Applicant has failed to comply with applicable fire and building codes and, therefore, has failed to comply with the decision granting a Certificate of Site and Facility with conditions in the above docketed matter. 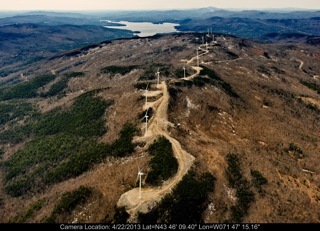 Tags: Groton Wind, Iberdrola, Violations. Bookmark the permalink.